Perfectly timed after Maul's fate in Star Wars: Rebels, this excellent issue shows the whole creative team performing at their best. 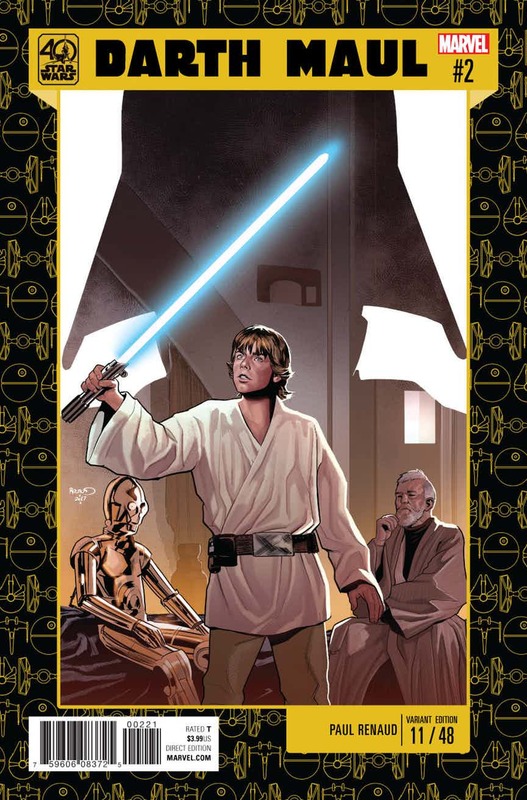 A must-read for Star Wars fans. When it comes to timing, Lucasfilm are the experts. They deftly coordinate their stories across countless different mediums – from comics to novels, from TV shows to movies. And with Darth Maul #2, they’ve yet again proved their skill. Over the weekend, fans of Star Wars: Rebels finally saw the end of Darth Maul. We watched him successfully draw out his greatest nemesis, Obi-Wan Kenobi, and meet his end on the desert sands of Tatooine. 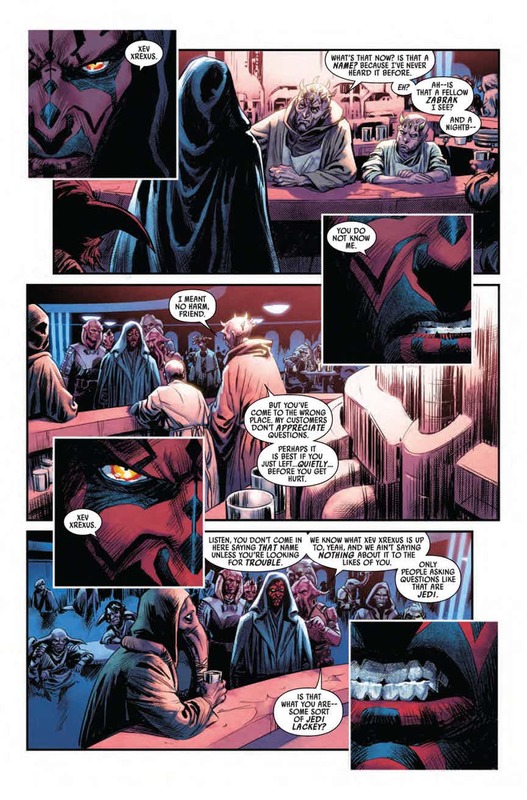 Now, just a few days later, Marvel Comics invites us to step back in time to the dawning days of Darth Maul; to a time before The Phantom Menace, before the Clone Wars, before he was brought low by the manipulations of his former Master. 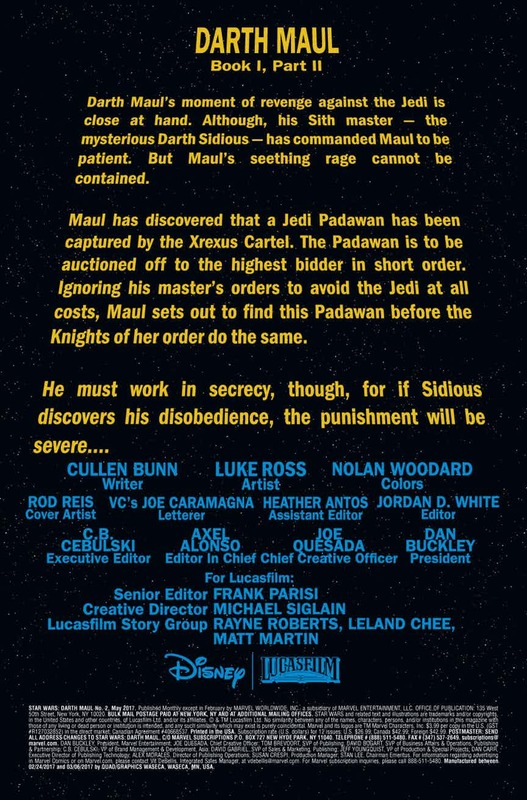 The story is a fascinating one, threading back to the subtle hints in Star Wars: Rebels that Palpatine betrayed the Sith as much as he did the Jedi. Darth Maul is shown as frustrated by Sidious’s schemes, angered because the patience Sidious preaches runs against the very nature of the Dark Side. 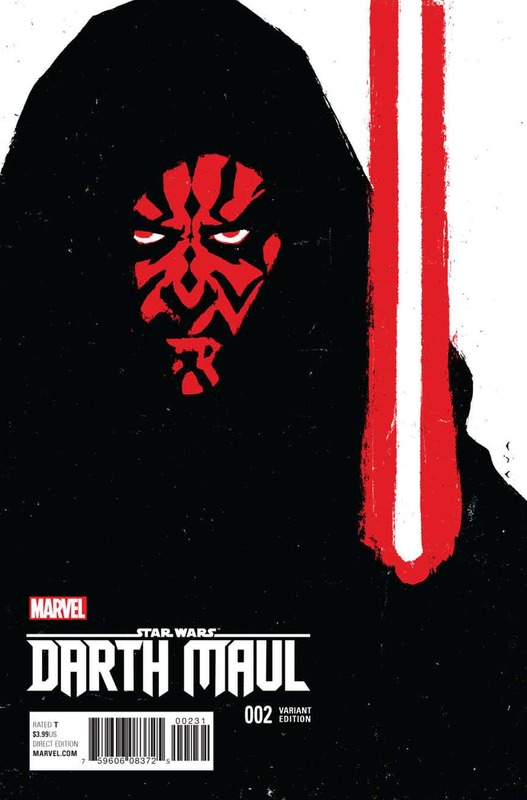 Writer Cullen Bunn is smart, exploring the themes of passion and rage that run through Maul’s spirit like the blood through his veins, and hinting all along at just why Maul would ultimately prove to be a disappointment to Sidious. 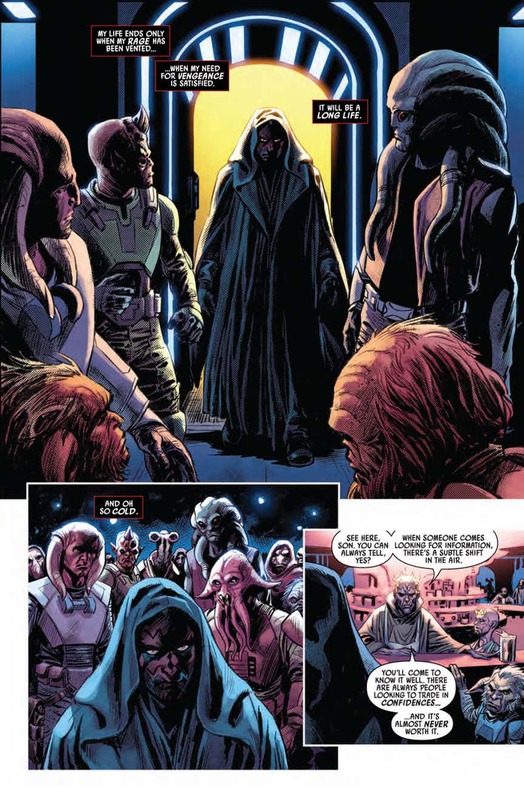 The arc is a fascinating one, with Darth Maul hunting down a Jedi Apprentice who’s been captured by slavers. He longs for the satisfaction of seeing a Jedi die, and this is a unique opportunity; a chance to kill a Jedi without the knowledge of his Master, a chance to sate his bloodlust. It’s a fascinating concept, and it sees Maul gather together a small band of allies – figures Star Wars fans will recognize in an instant. 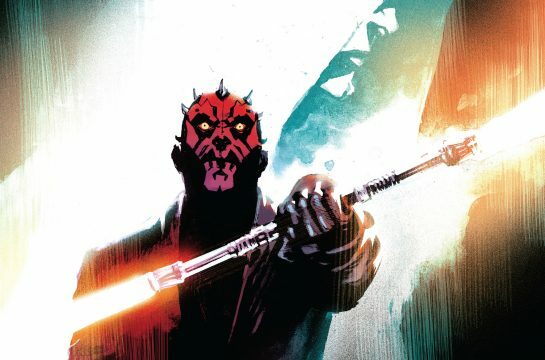 Along the way, Darth Maul’s quest takes us to some very familiar places; we see Maul’s hunt for the Jedi take him to the Smuggler’s Moon, and in flashback we have a tantalizing glimpse of a Sith world. Bunn’s knowledge of Star Wars is shining through, and the sheer genius of the Lucasfilm Story Group – who coordinate the timeline – is very visible indeed. 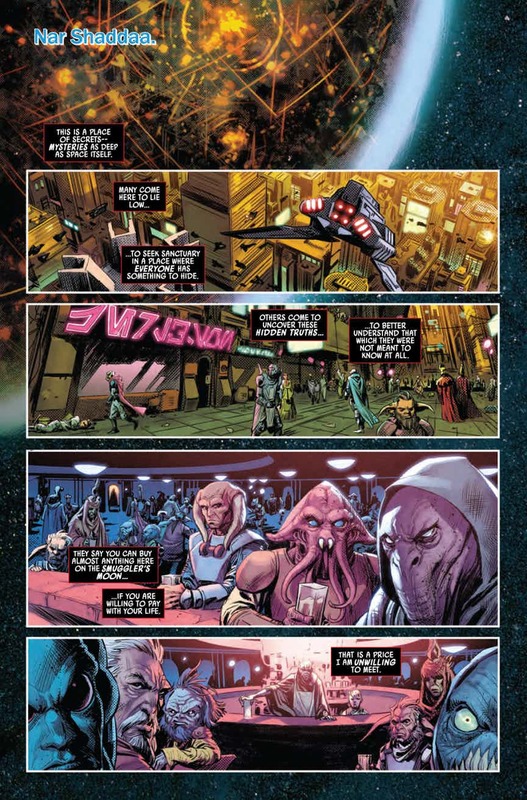 Meanwhile, Luke Ross’ art is tonally perfect for the story. He works closely with the rest of the artistic team, notably with Nolan Woodard as colorist, and gives each world a very different feel. Nar Shadda is gorgeously rendered, and there’s a brief bar fight that’s filled with sheer kinetic energy. Contrast this with Darth Maul’s haunting vision of the ancient Sith, or with the shimmering beauty of the Drazkel System. Every scene has its own look and feel, every world has its own tone and style – just as it should be. The whole team is tremendous. 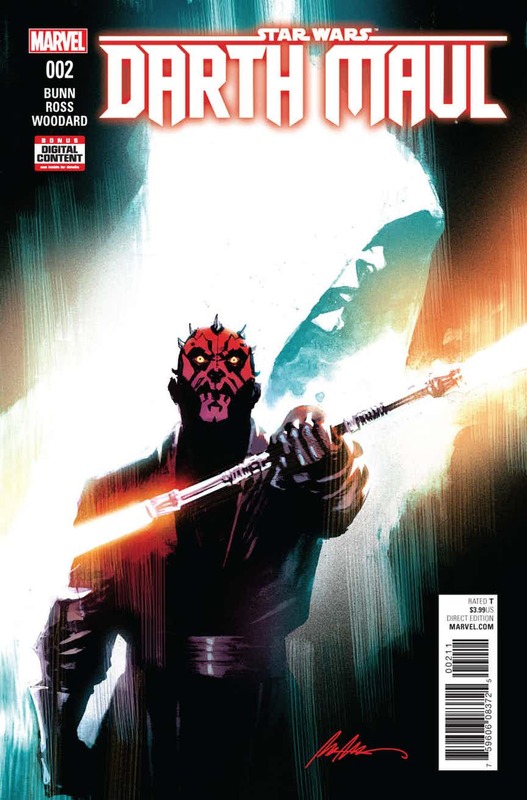 All in all, Darth Maul #2 is a wonderfully-timed issue, with a creative team who are clearly performing at their best. This is definitely one series that any Star Wars fan will want to follow.